The teaser of Kangana Ranaut starrer Manikarnika: The Queen of Jhansi’s is out. 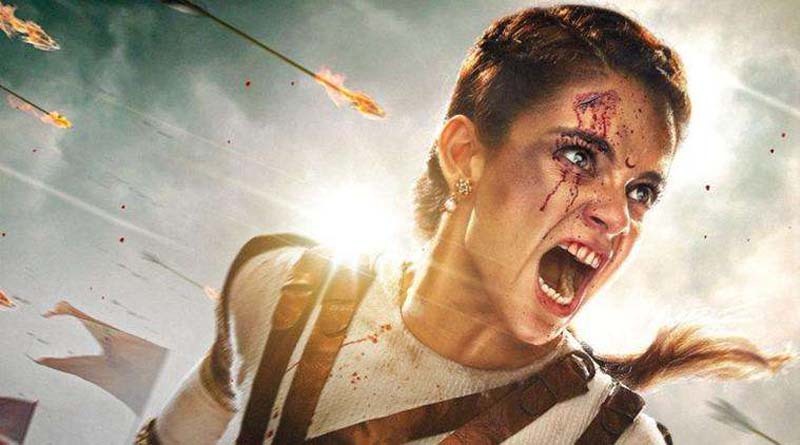 The movie’s primary plot revolves around Jhansi’s Rani Lakshmibai and is an attempt to showcase the audience her strength and valour as she fought courageously for India’s independence in 1857. Kangana plays the titular character in the film. The movie has been directed by Radha Krishna Jagarlamudi. Manikarnika also stars Ankita Lokhande, Jisshu Sengupta, Zeeshan Ayyub and Taher Shabbir in significant roles. “I am proud of this film, and of portraying a character who empowers and inspires. We have put in our heart, blood and sweat into making this film. Manikarnika will make every Indian proud,” Kangana had earlier said in a statement about the film. Manikarnika has been produced by Zee Studios, Kamal Jain and Nishant Pitti with a screenplay by KV Vijayendra Prasad. Prasad is a noted writer who has penned scripts for blockbusters like Mersal, Baahubali: The Beginning, Baahubali 2: The Conclusion and Bajrangi Bhaijaan. The movie boasts of music by Shankar–Ehsaan–Loy with songs written by CBFC chief Prasoon Joshi.